Putting together a fast performing WiFi network is much easier these days. Many of us know how to get a premium router and connect our devices to it wirelessly. In order for your video streaming, phone service, and other Internet-based services to work fine, you need to make sure you keep your WiFi network optimized. 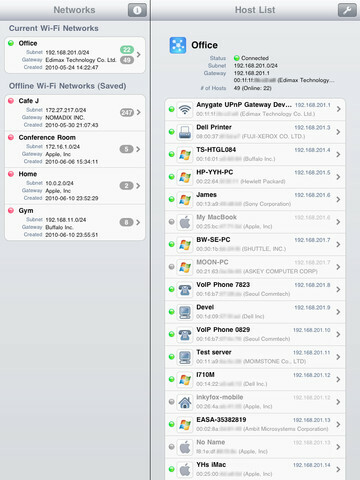 Keeping track of the devices connected to your network is essential too. SubnetInsightHD for iPad is a decent tool that helps with that. 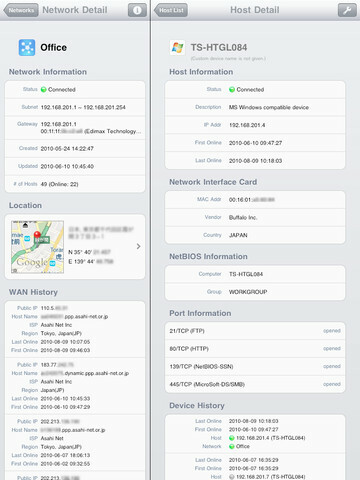 SubnetInsightHD auto-scans your network to find which devices are connected to your home network. It provides you with IP address and geological location information. Users can easily see the status of hosts in the subnet. You can also do port scanning with this. Once you have the information you need, you may email it to yourself or export the data with a CSV file. SubnetInsightHD does have a few bugs but it is a nice networking tool to have. It handles analyzing WiFi networks for you.